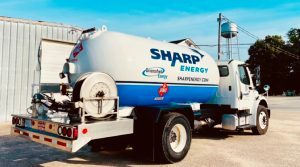 For over a century, propane gas has been used as an alternative fuel source to heat homes and businesses, fuel transportation vehicles both domestically and commercially, and has played a big role in the agricultural industry. 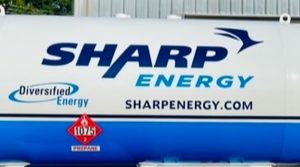 Propane takes up very little space when stored as a liquid in pressurized tanks, providing significant amounts of usable energy. Naturally colorless and odorless, an odor is added as a safety measure against any seepage that may occur. 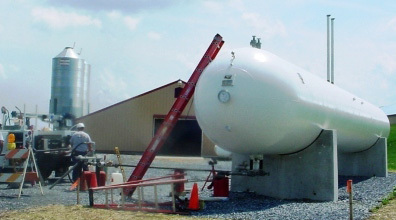 Liquid Propane Gas (LPG) is often called the portable gas because it’s easy to store and when the liquid is released it instantly vaporizes into a gas to fuel everything from kitchen appliances to farm equipment. Listed in the Clean Air Act of 1990, propane is considered a clean fuel. Propane gas leaves little ecological impact on the environment, and it is safe, abundant, and increasingly cost effective compared to other fuel types. It is utilized heavily within the agricultural industry for things such as crop drying, hog/poultry house and barn heating, tobacco curing. To keep America running, Diversified Energy offers metered transport deliveries so farms and agribusiness can continue to run their operations smoothly. By using propane to dry their crops, not only are farmers wasting less and lowering their costs, they also may have more flexibility when harvest time comes. Propane powered crop dryers keep fungal and bacterial growth down ensuring more harvestable crops. Additionally, propane fueled crop dryers are portable and readily accessible, particularly when working with Diversified Energy’s delivery drivers who provide farmers with the fuel they need when they need it. Before propane, farmers often used oil-fueled furnaces to heat their hog and poultry barns and houses, but these types of heating elements would break down and not be reliable. The marketability of hogs and poultry depends on the livestock surviving the winter, especially if they are raised in a particularly cold climate, so propane has become the dominant fuel for heating swine/poultry houses and barns because of its reliability and better performance. 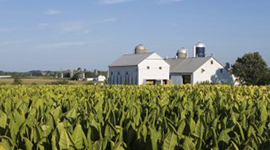 Since the early 1970s, nearly all of the tobacco-curing barns have been equipped with propane. Though propane use is prevalent, tobacco producers are being asked to retrofit all flue-curing barns to indirect mixing by passing combustion gases to take place outside the barn with the heat passing through the system back into the barn and turning into hot water or steam. Because propane gas and air mix better during combustion than oil and air, this system renders the use of propane for tobacco-curing more efficient. Commodity prices often fluctuate, challenging farmers and business owners. At Diversified Energy, we can you help manage the fluctuations by offering the option to buy propane gallons for future consumption at pre-determined price levels. Over 800,000 farms use propane for their agricultural needs such as irrigation pumps, dryers, generators, and any farm equipment that can be run on oil can be run using propane. The propane services offered by Diversified Energy keeps America running. For our larger volume customers, we offer discounted pricing on our propane services available in both our southern and northern regions. Whether you need propane gas delivery for your house and barn heating needs, incinerators, generators, dryers, or fuel for your farm vehicles, we have a delivery option for you. Our drivers and technicians are licensed and trained to assist you with the services we provide and our equipment. We can also fill up tanks you already own regardless of whether or not they were provided by Diversified Energy. Although we are the 31st largest propane retailer in the United States, we hold fast to small-town ethics and focus on providing great customer service. Since our founding, in 2000 we have been offering propane delivery services, installation services and more for our commercial, residential and agricultural customers. Our professional technicians and drivers are available to answer any questions you may have and to make sure your order is done right and delivered to you on time. For more information about how we can make your business or home run more efficiently, please call the nearest Diversified Energy service center location.